The study gives a boost to those concerned that a renewable energy transition needs to happen as soon as possible. In a nugget of very good news for the renewable energy sector, a survey of 163 wind energy experts has found that in the coming decades, the cost of electricity generated by wind should plunge by between 24 and 30 percent by the year 2030, and even further by the middle of the century. One key reason? New wind projects are about to get even more massive, in both the offshore and onshore sectors. As turbines get taller and access stronger winds and as rotors increase in diameter, it becomes possible to generate ever more electricity from a single turbine. The study, published Monday in the journal Nature Energy, provides a boost to those concerned that a renewable energy transition needs to happen as soon as possible. The cheaper that technologies like wind and solar become relative to coal and natural gas, the faster they can be adopted, not just in the wealthy United States but in developing nations across the world, which are expected to see some of the largest growth in renewable installations going forward. The paper claims to represent the “largest known elicitation ever performed on an energy technology in terms of expert participation.” The experts were asked about three separate wind-energy technologies – onshore wind, offshore wind and floating offshore wind (which has not yet been deployed at a major scale). As of the close of 2015, the study notes, wind gave the world about 4.3 percent of its electricity. But its “levelized cost,” the experts reported, is projected to decline markedly – and more for offshore wind than for onshore wind. This makes sense, as onshore wind is a more mature technology, and there is a great deal more of it at present. Still, by the end of 2030, onshore wind is expected to remain cheaper than offshore. These cost declines should drive up the percentage of the world powered by wind by 2030 and even more by 2050. And it’s important to note that the expert elicitation found a possibility of even faster price declines, too, though this was less likely. 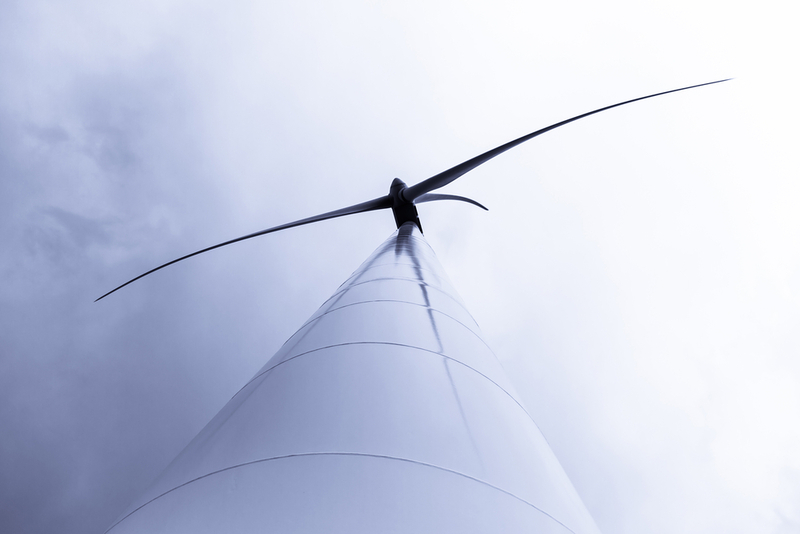 By 2030, the research finds, experts expect the average onshore wind turbine to stand abou 380 feet tall (from the ground to the “hub,” where the rotor attaches) and to have a rotor diameter of 440 feet. Offshore turbines will be even larger, at about 410 feet tall with an average rotor diameter of 620 feet. And even though the systems will be getting bigger, Wiser said, that doesn’t necessarily mean they’ll also be a lot pricier, owing to technological and design advancements. “We’ve seen wind turbines get larger and larger, but the amount of material in these turbines per megawatt of output has declined,” he said.